Push the gear lever to the right then backwards. - press the clutch pedal. 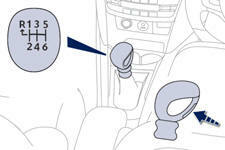 Move the lever fully to the right to engage 5th or 6 th gear. 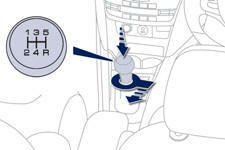 Press the gear knob trigger and move the gear lever to the left then forwards.